These are melt-in-your-mouth, fabulously easy, jiffy-fast cookies! In bowl #1, blend the flour and the icing sugar together with a fork. In bowl #2, cream the butter thoroughly. An electric mixer of some kind is perfect! Then, slowly, mix the flour / sugar mix into the creamed butter. Do this gradually. Take your time at low speed or you'll end up with a face full of flour. You'll drop the cookie mix by the teaspoonful on an ungreased cookie sheet. (You'll have about 36 cookies, depending on how generous you are with your teaspoon). You can also put little slivers of red and green maraschino cherries on the top... just because it's Christmas! Bake at 350 degrees for 10 to 15 minutes. Watch them. You'll want them to be golden on the bottom. Let cool on the cookie sheet before removing. 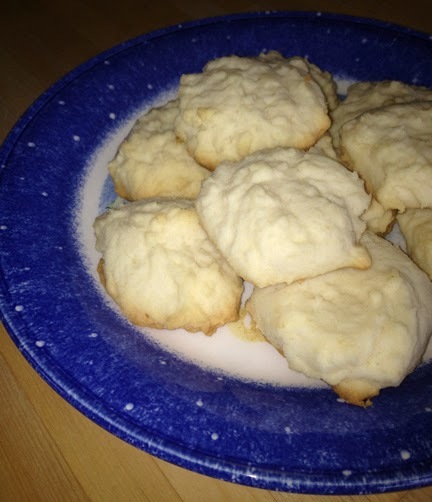 Oh, and watch out when you take the cookies from the sheet - the really fluffy ones can be a little fragile but they melt in your mouth, so it is worth it! I hope you and Santa enjoy these cookies! copy of Devin's Second Chance. 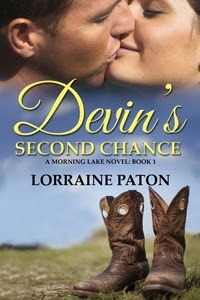 Every cowboy deserves a second chance at love! Who was he kidding? He couldn’t make himself leave because of Claire. He wanted to be here with her. It was foolish, but it was the truth. Then he dared to look at her again. The small white table lamp cast a warm glow over the room. The whitewashed wooden walls and stark, utilitarian apartment felt cozy now, intimate. Claire’s skin, bathed in the soft light, was golden and gorgeous. She was always beautiful, but in this room, in this moment, she was something extraordinary, and he was the same worthless SOB he’d always been. “I think you’d feel better if you sat on something more comfortable.” She patted the sofa beside her. “I said I’m good.” God, if he got any closer to her, he’d probably do something stupid like try to kiss her. For more Favorite Christmas Cookie Recipes & Giveaways - Hop along the 12 Days of Christmas Blog Hop! 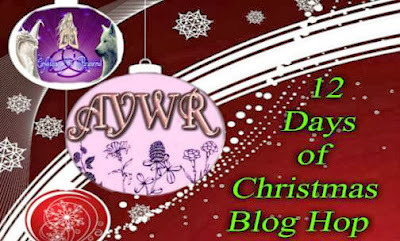 And, I am also holding another giveaway! Yay! Check out the Rafflecopter entry form below! You have the opportunity to win a $25 Amazon Gift Card! The winner on that prize will be announced on December 20th! Nice page. Visiting the stops along the way before mine. Your books look interesting. I'm a cowgirl and the boots caught my attention. I'll have to check that one out. :) Have a great holiday.